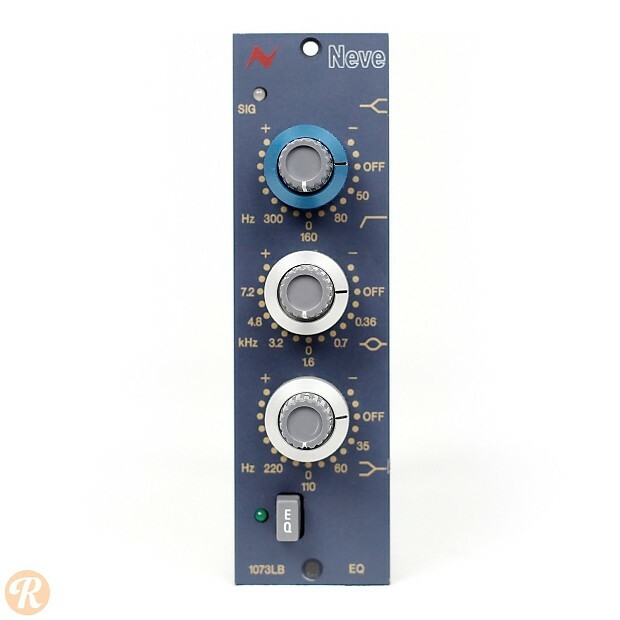 The AMS Neve 1073LBEQ is a single channel 500 Series equalizer which takes just the equalization circuitry from the classic 1073 input module. The top control is a dual-concentric knob which takes care of both high frequency shelving as well as high-pass filter. A rear panel "Insert Link" allows the 1073LBEQ to be placed in between the input and output stages of a 1073LB mic preamp which is in the same frame.